Three McGill-affiliated doctors push to allow children in need of urgent medical attention from remote communities that require airlifting via the province's Challenger to be accompanied by parents. 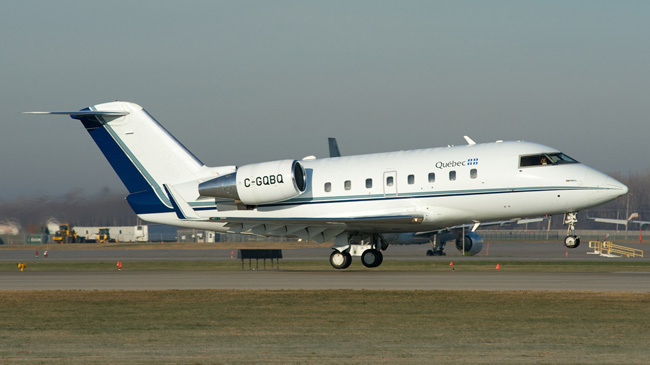 In following decades-old policy in Quebec, children in need of urgent medical attention from remote communities that require airlifting via the province’s Challenger jet have been forced to endure the transportation alone, without parental accompaniment. Unwilling to stand idly by with respect to a policy which they say disproportionately affects Inuit and First Nations children, in December 2017, Dr. Samir Shaheen-Hussain, Dr. Saleem Razack and Dr. Harley Eisman, three McGill-affiliated doctors working at the Montreal Children’s Hospital, co-authored a letter to the Ministry of Health decrying the situation and calling for change. The letter resulted in considerable media coverage, shedding light on the policy, which the doctors found to be unique to Quebec among Canadian provinces. Dr. Shaheen-Hussain has argued that in addition to the important role that parents play in comforting and supervising children in what are frequently highly stressful and frightening situations, often the children need major medical procedures that require parental consent. Unable to speak English or French the children are often unable to communicate with the doctors in Montreal who usually don’t speak Inuktitut, and in many situations the parents face delays in getting a commercial flight into Montreal. In the last year alone, the Children’s treated 219 children from fly-in communities in Nunavik and 146 children from remote Cree communities. In February, the Ministry of Health indicated an intention to change the policy to allow parents to accompany their children, however there was a case in early March where an Inuk child was forced to travel unaccompanied. The situation was recently a topic of discussion with the government’s Commission d’enquête sur les relations entre les Autochtones et certains services publics au Québec : écoute, réconciliation et progress, chaired by the Honourable Jacques Viens. On March 21 Dr. Shaheen-Hussain appeared before the Commission during hearings held at the Palais des Congrès in Montreal and provided 90 minutes of testimony.